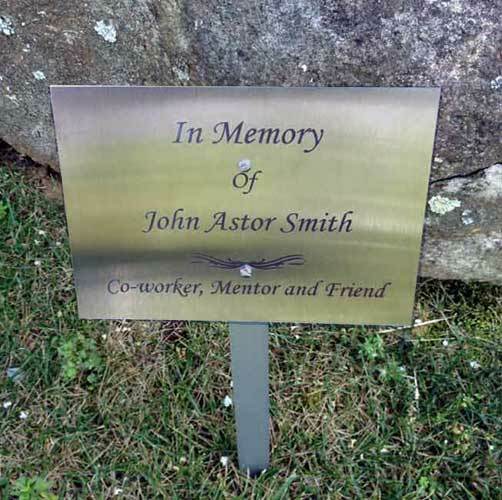 6X8 Stainless Steel Dedication/Memorial Lawn or Garden Sign. 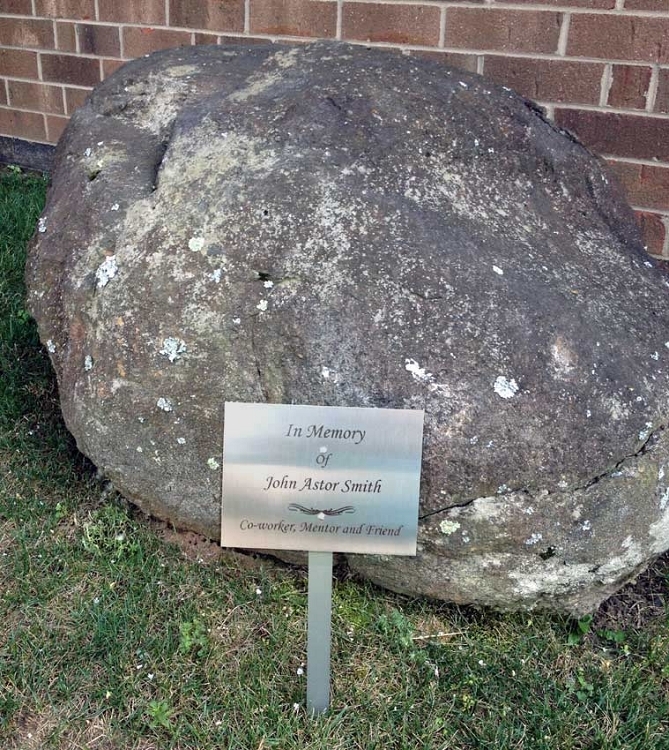 This plaque can be used in many ways. 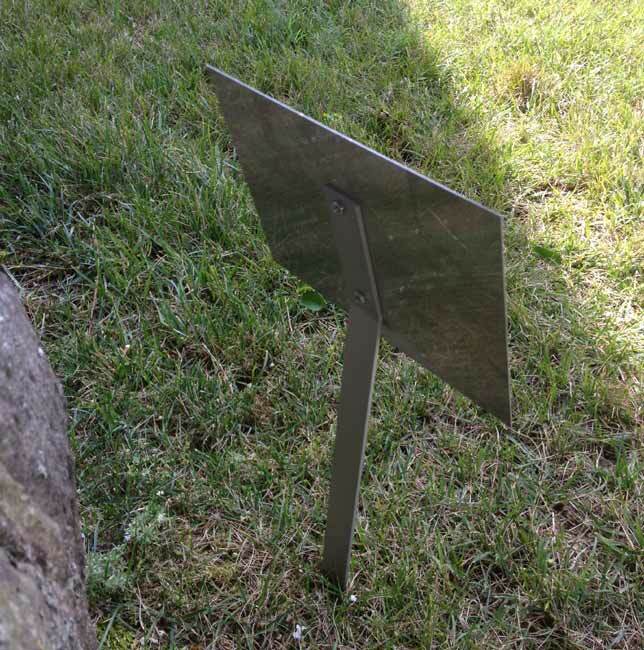 Comes with a weather resistance Anodized Aluminum Stake 15" x 1" with stainless steel nuts and bolts making this a perfect way to mark or remember a person, event or organization. The plate is made of 22 gauge Stainless Steel and the text is etched into the metal, never worry about fading text.